25th HDO Mediterranean Conference on Maintenance, MeditMaint 2019, Dubrovnik, Hotel Croatia Cavtat, Croatia. Today is the 50th anniversary of the first flight of the Anglo-French Concorde, the world’s first and, so far only, supersonic civil airliner to see prolonged service. (more) Comments from the Fellows of the Akademy. Billion Dollars Question: How Reliable is Reliabaility Function ? Finally, after 60 years of existance, the truth and nothing but the truth can be discovered by clicking here. 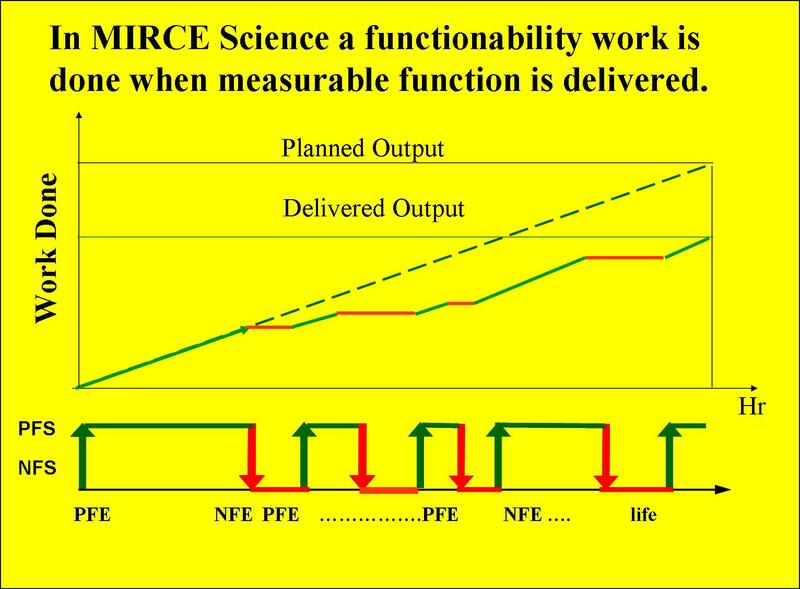 28th MIRCE Internatioanl Symposium "What is Beyond Reliability Function ?" This well established and atatended International Event will take place 11-12 December 2018 at Woodbury Park, Exeter, UK.For the Programme and aditional imnformation please clik here. This year’s Summer School focuses on a challenge that is facing the business community daily, which is, delivering the expected work, defined by their business plans, confidently and consistently, with the expected level of profit. To do this effectively requires the ability to simultaneously manage, in real time, a number of what we call “positive and negative functionability events” on the one hand, while maintaining continuous delivery of the required revenue generating work, defined by the expected functional performance, on the other. 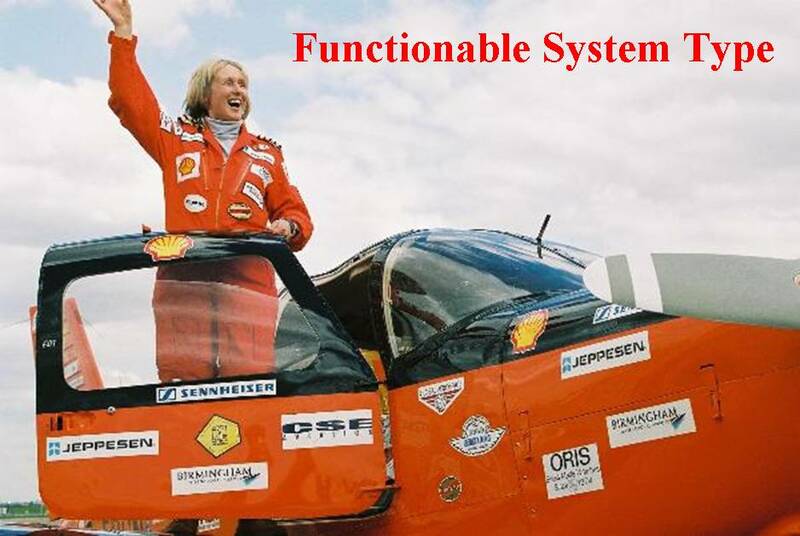 To achieve this repeatedly, a scientific understanding of the impacts of all natural and human actions on the system’s functionality and functionability performance is essential. Regrettably, this is not standard business practice in the majority of organisations. More commonly decisions makers focusing their efforts on application of management methods to the reduction of operational costs rather than increase of the return on investment measured by the resulting profit! 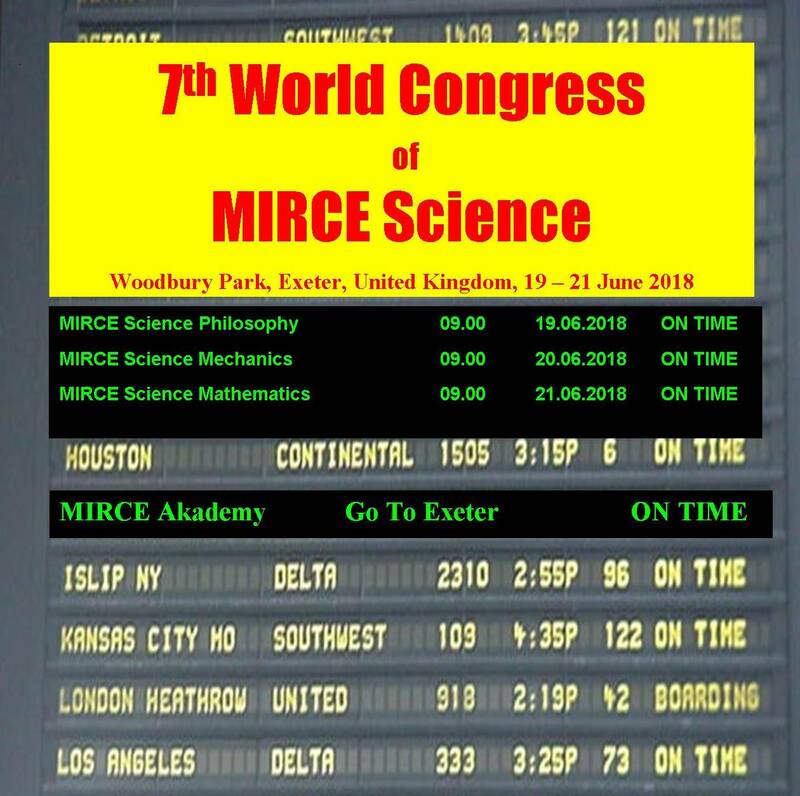 The objective of this unique event is to “inform” decision makers how to “Deliver Expected Work and Expected Profit”, which is achievable by integrating the MIRCE Science based body of knowledge into their business planning process. It will enable accurate predictions to be made, of the work expected to be done and the resources expected to be required, exposing expected profit. Join us to find out how the balance between the work and resources could be successfully “engineered” and pre-emptively managed by understanding and employing the MIRCE Profitability Equation (Knezevic, J., The Origin of MIRCE Science, pp. 232, MIRCE Science, 2017, ISBN 978-1-904848-06-6). For full details, please click here. It is with huge regret and sadness that the MIRCE Akademy announces the death of our Margaret, who joined us in January 2004 and stayed until the very end. Always with a smile, kindness and friendliness she dealt with our staff, students, fellows, and members. At the same time she was highly loyal, skilful and above all "mega" professionalism in dealings with "government" departments where numeracy, precision and punctuality were the virtues required. Her love for life, people and learning will be hugely missed as well as the coffee breaks with a small piece of "dark chocolate" both from Lidl, on offer! For the full Programme and booking deatils, please click here. In light of the new General Data Protection Regulations (GDPR) the MIRCE Akademy will not be able to send you any information electronically without your permission, after 25th May 2018. Thus, to continue receiving relevant information regarding our research, education, training and publishing activities by opting in to receive emails from us in the future.Your own email address is the only piece of information that we will keep in our data base. This information will not be shared with a third party. Naturally, you will have the opportunity to change your decision at any time of your choosing in the future, by opting out. To start or continue receiving digital informatiuon from MIRCE Aakdemy please sent an email to quest@mirceakademy.com with 'YES' at the end of the subject line. The Congress will take place at the Woodbury Park, Exeter, UK, 19 -21 June 2018. For the full details regarding the participation please click here. Published by the MIRCE Akademy to facilitate exchanges of knowledge and experience between: scientific, engineering and management professionals, which are interested in MIRCE Science,, from the research, practical application, modelling or consultancy point of view. To read abstracts of the papers published and other information please click here. 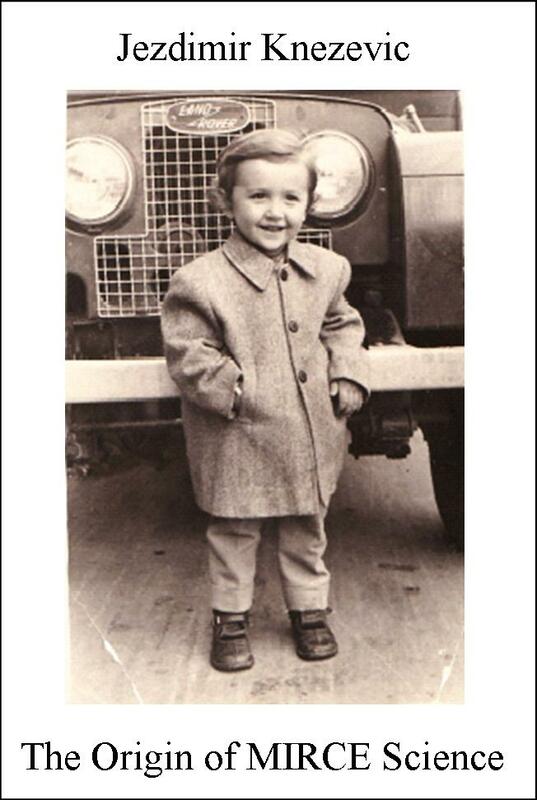 • The first started with his childhood obsession with cars and autosport, progressing to building one by hand, using parts obtained from scrap yards, in a neighbour’s garden. Two years later driving that car he earned one point in the National Rally Championship, while experiencing the physical phenomena of operation, maintenance and support processes (Part 1 of the book). • The second took the author to universities, libraries, institutes, companies and other organisations worldwide, in the quest for the scientific understanding of the mechanisms that lead to the occurrence of functionability events, resulting from physical, environmental and human actions. (Part 2 of the book). 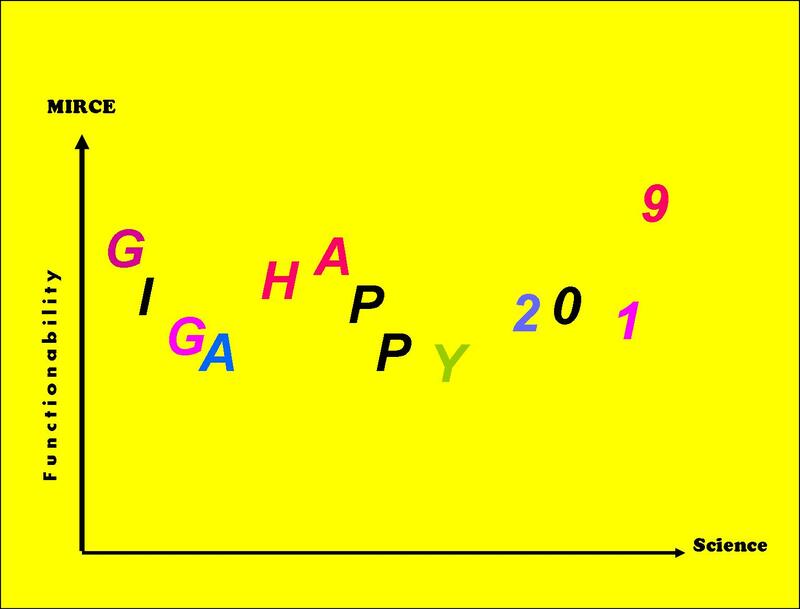 • The third culminated in the creation of MIRCE: Functionability, Operability, Maintainability, Supportability and Profitability Equations, the mathematical derivation of which has been fully described in this book, based on MIRCE: Functionability Field and Space. (Part 3 of the book). 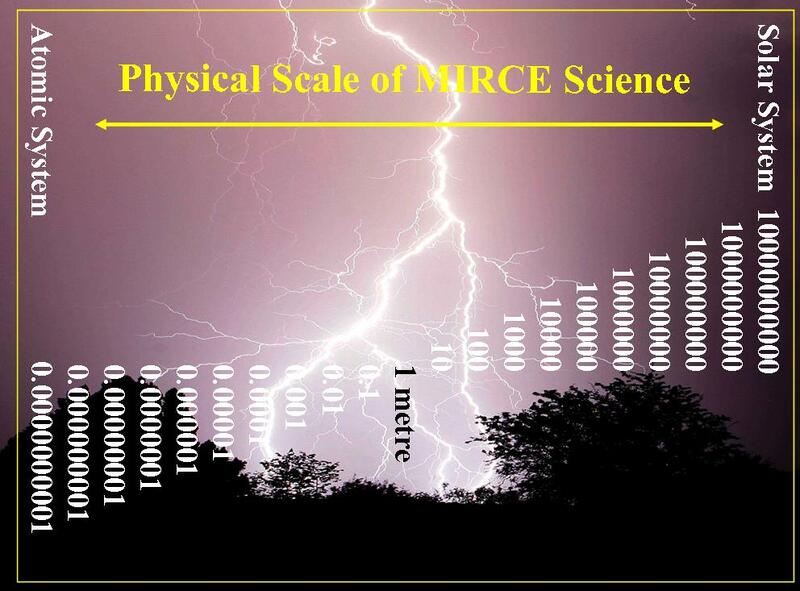 MIRCE Science comprises axioms, laws, mathematical equations and calculation methods that enable quantitative predictions of the impact of the physical world and in-service rules on the functionability performance of each feasible option of the future functionable system type to be made. 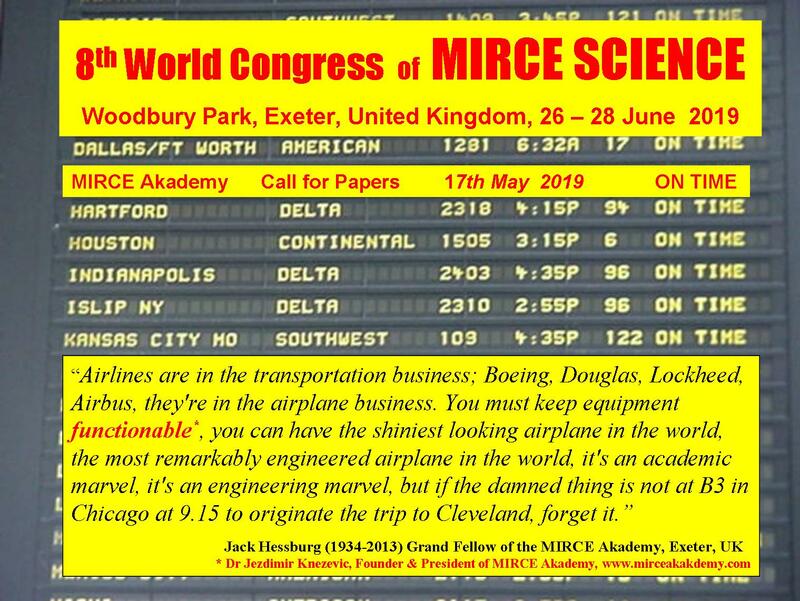 The complexity of this undertaking, according to Jack Hessburg (1934-2013), the World’s first Chief Mechanic (Boeing 777), requires the intellectual effort equal to winning a Nobel Prize!